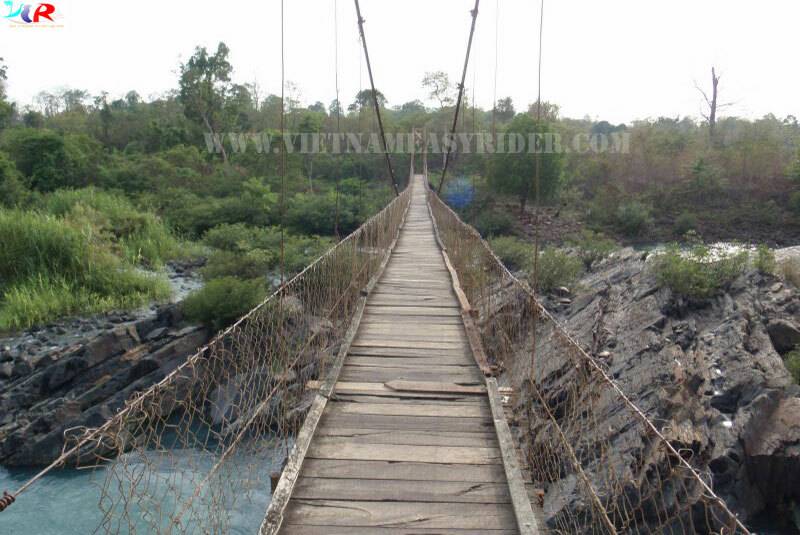 Location: Serepok River, Kuop Hamlet, Dray Sap Commune, Krong Ana District, Dak Lak Province, about 25km to the south of Buon Me Thuot City Centre, riding along Highway 14. Characteristics: Dray Nur is one of the most majestic waterfalls in Central Highlands, length over 250m, height over 30m, spread about 150m. 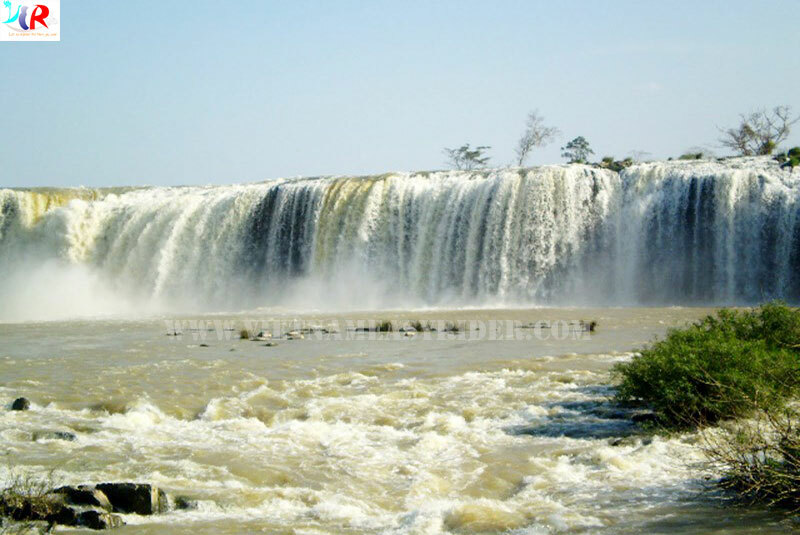 Dray Nur waterfall is midstream in the system of 3 waterfalls: Gia Long - Dray Nur - Dray Sap of Srepok river, Dak Nong Province. Dray Nur waterfall is located next to Dray Sap waterfall and being separated with Dray Sap waterfall by a suspension bridge crossing Srepok river. Both are beautiful and majestic waterfalls. 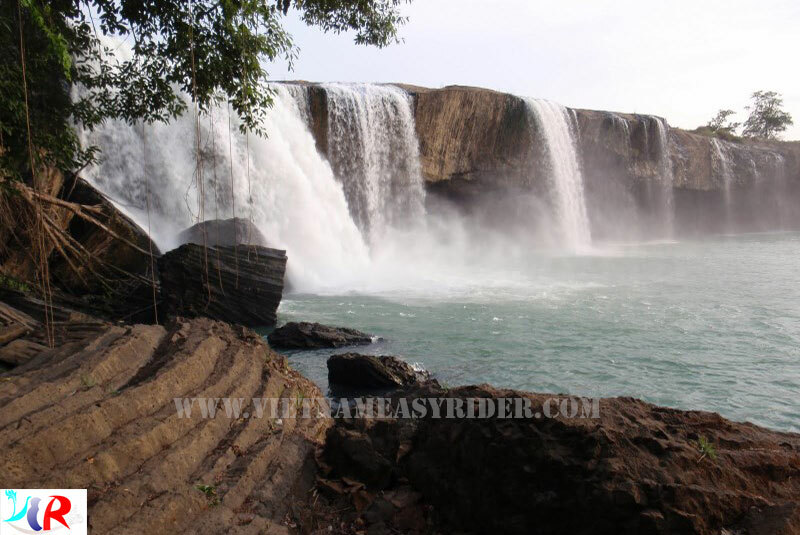 Dray Nur waterfall is little known because of a mistake it is in Dray Sap waterfall system. Dray Nur is an ideal place for those who want to explore unspoiled nature and mysterious land of windy and sunny plateau. 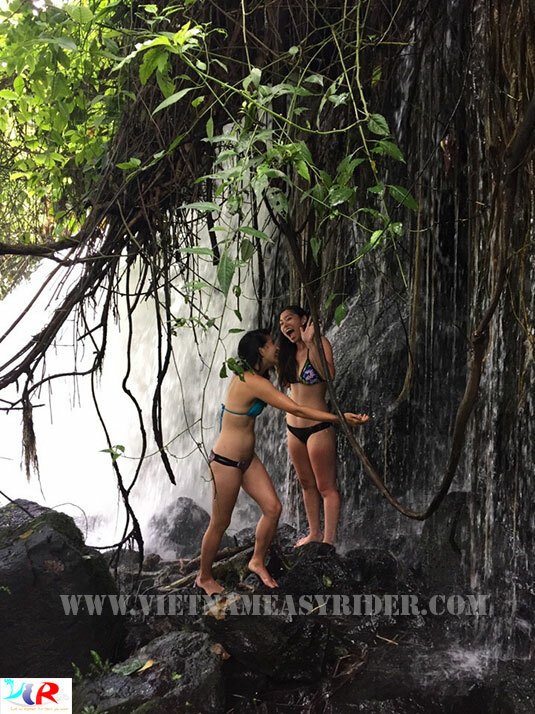 Is also suitable for picnics, camping, barbecues, enjoy the specialties here, deep your body in the fairy pool and take a massage under the waterfall (This will be done if you do a Motorbike Tour with Vietnam Easy Riders Group). 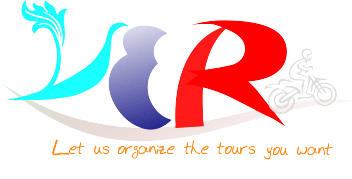 Another interesting thing is not only enjoy playing that scene where each ticket to visit Dray Nur resorts you will be enjoying a cup of coffee milk flavor of Trung Nguyen coffee. Dray Nur means female waterfall (or wife waterfall). 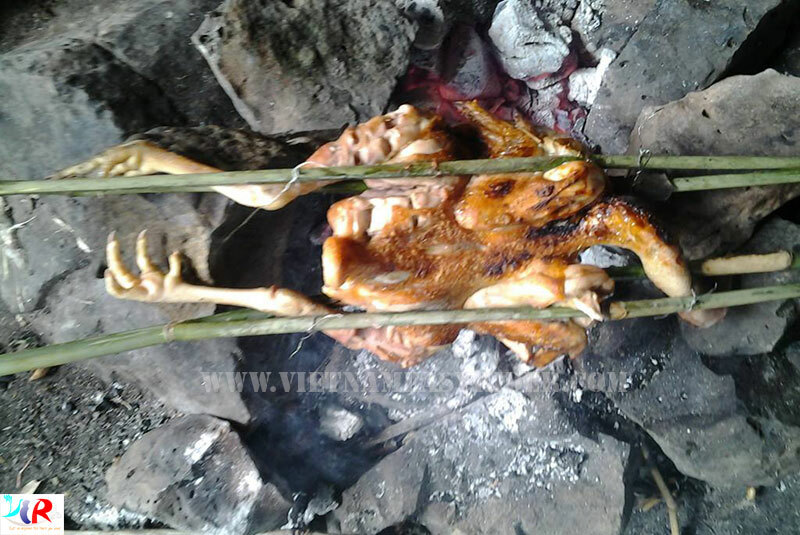 The story goes that there was a couple (strong boy and beautiful girl) of two different villages loved each other but they are subjected to a severe ban on the family because of the ancient contradictions. villager tried to find every way prohibiting that couple. Because it was so painful that love was not allowed, on a cold night, the poor lovers together sowed themselves into the Serepok River with the wish to be together in another world. Then, in the sad moment, the big waves in the river began to emerge, splitting the gentle river Serepok into two branches. These two branches created two majestic waterfalls of today's Dak Nong, named Dray Nur and Dray Sap waterfalls.